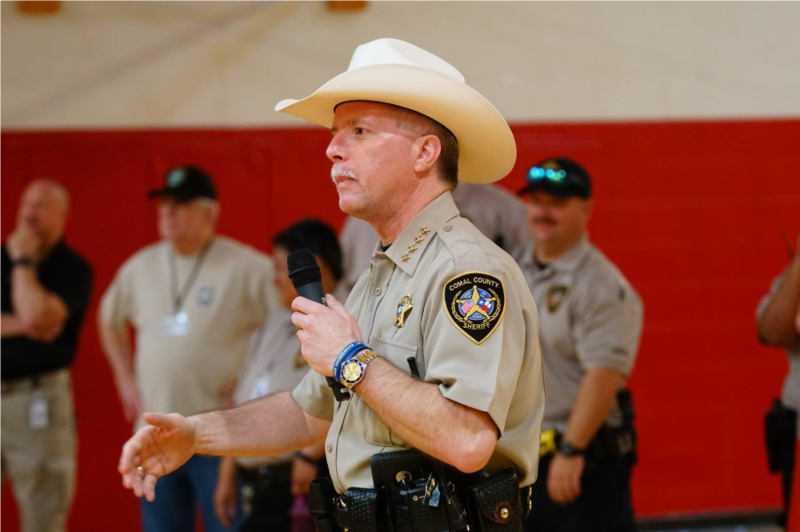 Annually, the Comal County Sheriff’s Office, with the support of Comal Independent School District, hosts Junior Deputy Academies. During this program, deputies from the various sections of the Sheriff’s Office visit with participants and introduce them to the different functions they provide. 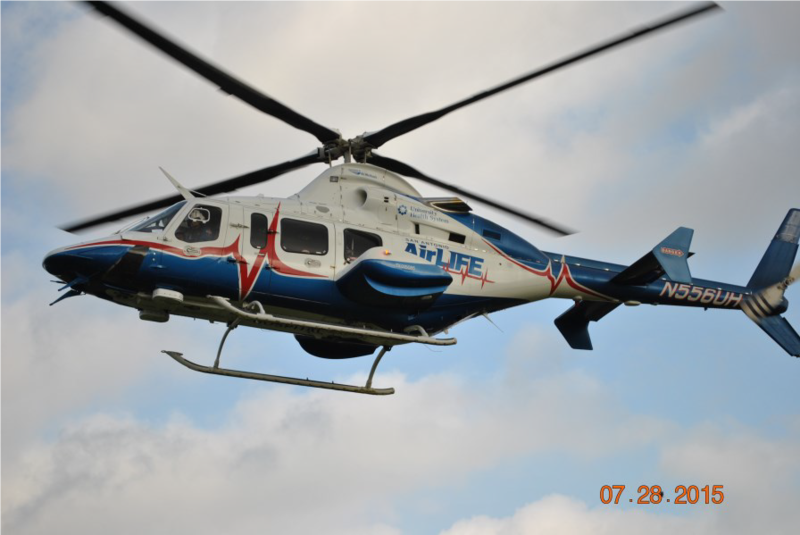 Some of these functions include: Patrol, SWAT, Sheriff’s K-9, Crisis Negotiations, Honor Guard, Criminal Investigations, Crime Prevention, 911 Emergency Center, Narcotics/Drug Awareness, along with the Fire Department and EMS, Air life, Public Utilities along with many other presentations. 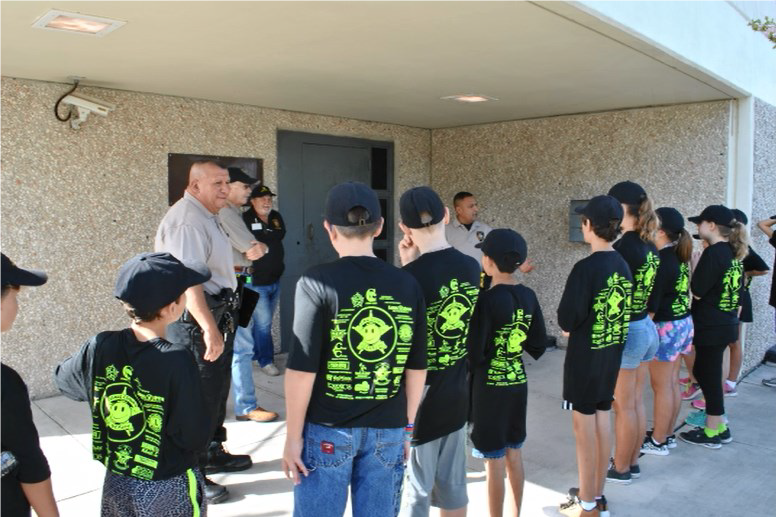 On Wednesday of each camp, the participants tour the Sheriff’s Office, Detention Facility, Communications (911) Center, Criminal Investigations Section, Warrants Division Office and Patrol Center. 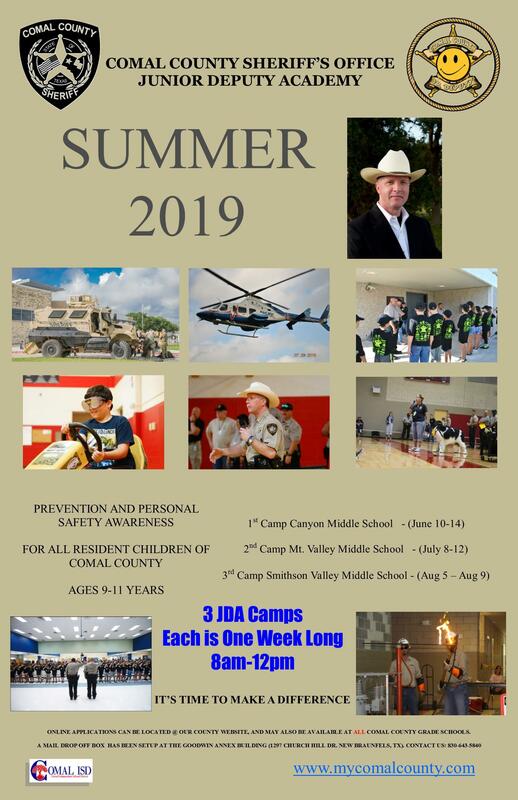 Camps are open to all Comal County residents ages 9 to 11. Camp times are from 8am to 12pm Monday through Friday. All children attending receive a T-Shirt and Graduation Certificate along with a bag of donated items from the community.